If you own any electronic gadget, you know how frustrating it is to run out of juice when you need your gadget the most. Let’s say you are at a SXSW late party, and your iPhone is running out of battery fast. Wouldn’t it be nice to have a backup plan to make sure you have your iPhone available when you need it? Kensington Mini Battery Extender and Charger is a cool iPhone accessory that gives you a lifeline when you are running out of battery fast. Kensington Battery Extender extends play time up to 30 hours of music or 6 hours of video (on iPod nano 3G) or 3 hours of talk (on iPhone). You can always charge your iPhone with the USB charging cable, but if you do not have access to a plug, the Mini Battery buys you enough time to find one. 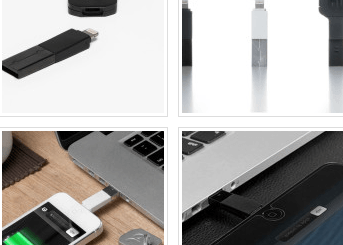 This extender is compatible with most iPods and iPhones. What I like about this gadget is the fact that it gives you the ability to charge your iPhone and use it at the same time. It’s truly portable as well. The energy bar looks very attractive and gives others watching you an indication that you are using a super iPhone add-on. 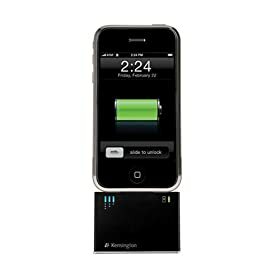 Kensington Mini Battery Extender and Charger is a great emergency add-on for iPhone and iPod. 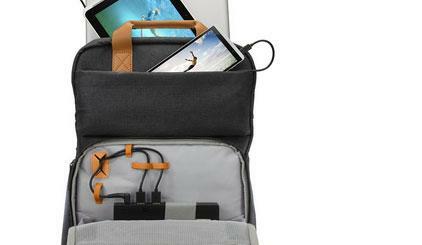 If you are running out of battery and can’t find a plug, you can use this cool gadget to buy yourself some time. It won’t run forever, but it extends play time by a few hours so you won’t get stranded with your iPhone/iPod battery dead.